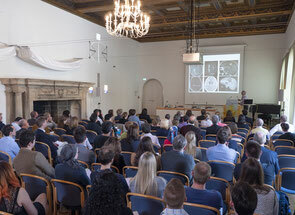 The DAAD funded international network "Research for Rare Diseases and Personalized Medicine" met again this year to exchange the latest findings in basic and therapeutic research in the field of primary immunodeficiencies. 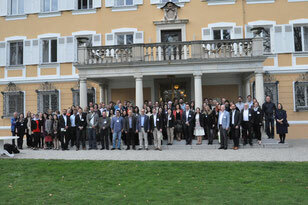 The participants came from Iran, Israel, Canada, USA, Thailand, Turkey, Austria and Colombia. Our Iranian Partner Professor Roya Sherkat gave an overview of the latest results in "Enigmas of Primary Immunodeficiency Diseases in our region, review of few novel cases" as part of a guest lecture series at the Dr. von Hauner Children's Hospital in Munich. 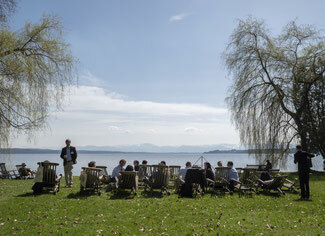 On the morning of 11 April, the DAAD International Network Meeting was finally opened in Tutzing on Lake Starnberg. Through the participation of our DAAD partners and their fellows from different countries, the event had an international ambience. Network Coordinator of the Research for Rare Network Prof. Christoph Klein opened the project workshop and informed about current activities of the DAAD project. He also introduced the School of Medicine of the University of Antioquia in Medellín, Colombia, represented by Dr. Jose Luis Franco as a new DAAD partner, who joined our network last year. Afterwards, current papers of the DAAD partners and current patient cases were presented and discussed openly and professionally by the participants. After a short coffee break, which offered the opportunity for strengthening and networking, selected abstracts of fellows of the DAAD project were introduced. The lectures presented the latest innovative scientific findings in the field of primary immunodeficiencies. After a final review and reflection of the productive seminar, the researchers had the opportunity to participate in the symposium "Translational Science of Rare Diseases - From Rare to Care III" at the same venue. Thus a smooth transition between the two events could be created and the interdisciplinary scientific exchange in the field of rare diseases could be multiplied even further. Together with the international scholarship holders of the Care-for-Rare Foundation, the DAAD partners contributed to a very valuable exchange on an international level and enabled an intercultural exchange on site.